If you need help understanding the property licensing rules in Havering you have come to the right place! We are experts in housing regulation and have produced this free guide to help you understand the council’s property licensing schemes. If you find that you need a licence for your rented property our support doesn’t end there. We can handle the licence application process and give you expert advice and guidance along the way (read here). Once you have read through our guide, if you do need any assistance you can contact us here. We also have a Landlord Suppliers Directory (here) to help you find the goods and services you need in the London area, with new suppliers regularly added. To help set the scene, the London Borough of Havering is in East London covering an area of 43 square miles. It is bordered by the boroughs of Redbridge and Barking & Dagenham to the west, Essex to the north and east and with the River Thames to the south. According to the 2011 Census about 11% (1 in 9) of the housing stock was privately rented which is significantly lower than the London average of 25% (1 in 4). Do I need a licence to rent out my property? You do not need a licence if you rent your property to a single family as Havering Council do not operate a selective licensing scheme. However, if you rent out a flat in a converted building, you should check the additional licensing scheme below as some buildings containing flats do need to be licensed. If you rent your property as a House in Multiple Occupation (HMO), the answer is a bit more complicated. Havering Council implemented an additional licensing scheme on 1 March 2018 and there is also the mandatory HMO licensing scheme that applies throughout England. The government have decided to exclude purpose built self-contained flats within a block comprising three or more self-contained flats from the mandatory HMO licensing scheme. While this will be good news for some landlords, it does make the licensing scheme far more complicated. To find out more, you can read our free guide to mandatory HMO licensing (here). The additional licensing scheme came into force on 1 March 2018 and continues until 28 February 2023, unless the council decide to implement a replacement scheme. It applies to all HMOs in the council wards of Brooklands, Elm Park, Gooshays, Harold Wood, Havering Park, Heaton, Mawneys, Pettits, Rainham & Wennington, Romford Town, South Hornchurch and Squirrels Heath. It includes all properties shared by three or more people who are not all related and share facilities. You can view the scheme designation in the ‘More Information’ box on the right of this webpage. the conversion did not comply with the relevant Building Regulations in force at that time and still does not comply. So, a building containing both owner-occupied and rented flats may need one licence for the whole building. This is a complex area of law and you may need further advice. Havering Council charge a standard licence application fee of £1,115 (was £1,081.25 in 2017/18 and £1,060 in 2016/17) for an HMO with up to five letting. The fee increases to up £1,788 if there are 20 or more lettings. There is no longer a discount for accredited landlords which we think is a shame. The council told us it was withdrawn in April 2016. There is a standard application fee of £900 per property, with a £35 discount for accredited landlords. The fees are correct as of October 2018 and can be viewed in full on the council’s website. A new online application form was introduced in early 2018 to coincide with the launch of their additional licensing scheme. You can apply by visiting the council's website and clicking on the yellow 'Apply for an HMO licence' button. You can use the online application process for both mandatory HMO and additional licence applications. If you need assistance with your licence application, we can help you. We offer a unique hassle-free, one-stop-shop service to handle your licence application from start to finish and all for a fixed fee. As part of the service, we carry out an inspection of your property and provide expert advice on compliance. You can find out more about our licence application handling service here. You can also find other companies offering a licence application handling service in our Landlord Suppliers Directory (here). Are there any standards I need to comply with? Yes, the council’s HMO standards can be downloaded from the council’s website. The standards cover a range of issues such as kitchen, bathroom and toilet facilities, fire precautions, heating, lighting, ventilation and room sizes. The council can still ask for larger minimum sizes. These new minimum sizes apply throughout England to HMOs licensed under a mandatory HMO or additional licensing scheme. How many properties has the Council licensed? As of March 2015, Havering Council told us they had licensed 31 HMOs. When we last checked in October 2018, we found the public register listed 55 properties licensed under the mandatory HMO licensing scheme and 64 properties licensed under the additional licensing scheme. Havering Council keeps a public register of licensed HMOs which you can view on the council’s website. Are there lots of unlicensed properties still out there? We don’t really know. In March 2015, Havering Council told us they have not compiled an estimate for the number of licensable HMOs within the borough. However, in a cabinet report on 11 November 2017, the council said they expected to license about 800 properties under the new additional licensing scheme. What happens if I don't get a licence? Alternatively, the council can issue you with a civil penalty notice of up to £30,000 for not having the correct licence without any warning being given, so this is really serious stuff. You could also be subject to a Rent Repayment Order and may have to repay up to 12 months rental income. Whilst the property is unlicensed, you can’t use a Notice of Seeking Possession under Section 21 Housing Act 1988 to evict your tenants. And following a successful prosecution, you would probably fail a fit and proper person assessment, making it very difficult for you to obtain a property licence in the future. Does the Council take much housing enforcement action? Havering Council told us they had not taken any housing prosecutions over the five years from April 2011 to March 2016, which puts them at the bottom of the housing enforcement league table when compared to all London Boroughs. Havering Council have not obtained any Rent Repayment Orders from the landlords of unlicensed HMOs over the five years from April 2011 to March 2016. This is based on data published by the Courts and Tribunals Judiciary. For all the latest information, you can search for housing prosecutions on the Mayor of London's 'Rogue landlord and agent checker', available here. How many accredited landlords are there? There are three approved landlord accreditation schemes operated by the London Landlord Accreditation Scheme, the National Landlords Association (NLA) and the Residential Landlords Association (RLA). Whilst we don’t have any figures for the NLA or RLA schemes, we have got information about the London Landlord Accreditation Scheme that is supported by all the London Boroughs. In January 2016, they told us there were 283 accredited landlords in Havering, which was the 3rd lowest out of all London boroughs. By January 2018, that figure had increased to 499, which is in the bottom ten compared to all the London boroughs. To find out more about becoming accredited, you can visit the London Landlord Accreditation Scheme website here. In addition to training and development, accredited landlords are entitled to various benefits, including discounted licensing fees in some boroughs. If you are not already a member, we would encourage you to think about joining! Is the Council planning to introduce any new licensing schemes? A new additional licensing scheme came into force on 1 March 2018. Let us explain the background to the council’s decision. On 23 September 2015, a Private Rented Sector Landlords Topic Group Report was presented at Havering Council’s Cabinet Meeting. The report followed a review conducted by the Council’s Towns and Communities Overview and Scrutiny Sub-Committee Group. The report explored a range of options to further regulate the private rented sector, including options for both additional and selective licensing. The report recommended that the council should implement a selective licensing scheme in the council wards of Brooklands, Gooshays and Heaton, subject to a consultation exercise. There was a second recommendation that selective licensing should be extended throughout the borough, subject to obtaining Secretary of State consent. Both recommendations were approved by Cabinet and you can read further information on the council’s website. On 18 January 2017, the council’s cabinet meeting approved a 4-week informal licensing consultation as a listening and engagement exercise which took place from 20 January to 17 February 2017. This was followed by a formal licensing consultation that took place from 19 May to 28 July 2017. The council dropped their plans for selective licensing and restricted the consultation to additional licensing, with two proposals covering either 4 wards or 12 wards. After reflecting on the feedback, the council approved an additional licensing scheme covering 12 wards at their Cabinet meeting on 11 October 2017 (read here). There is clearly a lot happening in Havering so we will monitor the situation closely and will keep you posted. Sign up to our free newsletter for all the latest news. You will need planning permission if you are changing your property from a single-family property to a house in multiple occupation (HMO) occupied by more than six people. HMOs occupied by more than six people fall within ‘sui-generis’ use for which planning permission is required. You also need planning permission if you a splitting up a property into smaller self-contained units of accommodation. For smaller HMOs, the rules are more complicated. HMOs occupied by up to six people fall into planning use class C4 whereas single-family properties fall into planning use class C3. On 13 July 2015, Havering Council made two Article 4 Directions that will remove the permitted development rights to change a property from use class C3 to use class C4 without planning permission. If you want more information, we have published a short guide to HMO Article 4 Directions that you can read here. To make matters more complicated, different rules apply in different parts of the borough. We will try and explain. This Article 4 Direction applies in the council wards of Brooklands, Romford Town, Heaton and Gooshays. You can download a copy of the Article 4 Direction from the ‘More Information’ box on the right of this page. In these wards, planning permission is required to change the use from a single-family property (C3) to an HMO with up to six occupants (class C4). So even letting your property to three people who are not all related could require planning permission. This Article 4 Direction applies to the whole of the borough, excluding the council wards of Brooklands, Romford Town, Heaton and Gooshays. You can download a copy of the Article 4 Direction from the ‘More Information’ box on the right of this page. In these wards, planning permission is required to change a self-contained flat, a terraced house or a semi-detached house from a single-family property (C3) to an HMO with up to six occupants (class C4). The only difference is that this Article 4 Direction does not apply to detached houses, where permitted development from use class C3 to C4 will remain. When do the Article 4 Directions come into force? Havering Council consulted on these Article 4 Directions from 13 July to 31 August 2015 and after considering all the consultation responses, the Article 4 Directions were confirmed on 3 November 2015. The two Article 4 Directions came into force on 13 July 2016. The changes are not retrospective, so any properties changed from a single-family property (class C3) to an HMO with up to six occupants (class C4) before that date are not affected. More information about the Article 4 Directions is available on the Council’s website. Remember that this is only intended as general advice and no liability can be accepted for any reliance upon information provided. We would strongly encourage you to contact the Council’s Planning Department or seek independent legal advice if you need advice on how this impacts on your property portfolio. Can you help me find the goods and services I need? We certainly can. We understand the challenges of being a private landlord and so we have developed a Landlord Suppliers Directory to provide you with access to the goods and services you need. The Directory concentrates on businesses that operate in the London area. Whether you a looking for a letting agent, want a property inventory for a new tenancy or fire risk assessment, we’ve got it covered – and far more besides! As the leading experts in property licensing, we also offer a range of services ourselves. From handling the licence application process to advice on new HMO developments, we can help to ensure your property business remains compliant. If you need assistance, please drop us a line and see if we can help! New suppliers are regularly being added and we would encourage you to take a look. Some of our featured listings also contain YouTube videos, helping you to find out more about the business. London Property Licensing awarded Best Landlord Service Provider 2019! New HMO licensing rules come into force today! Three week countdown: the mandatory HMO licensing rules change on 1 October 2018. Are you ready? Four week countdown: the mandatory HMO licensing rules change on 1 October 2018. Are you ready? Five week countdown: the mandatory HMO licensing rules change on 1 October 2018. Are you ready? Six week countdown: the mandatory HMO licensing rules change on 1 October 2018. Are you ready? London Property Licensing finalists at the FSB London Business Awards! What is the acceptable size for a bedroom in a licensed HMO? Is the hiring out of property on Airbnb a breach of the lease? Is a ‘let only’ agent responsible for HMO licensing? Can a landlord really say 'No DSS'? Are you thinking about investing in HMOs? 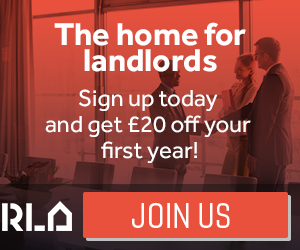 As a house in multiple occupation (HMO) landlord, am I liable to pay council tax? Could you help to improve the health of children and communities in Africa? Should criminal record checks be extended to landlords and letting agents? Can you transfer a mandatory HMO, additional or selective licence to a new owner? Will my mortgage lender find out if I apply for a property licence? What is the minimum size for a bedroom in a licensed HMO? No selective licensing in Havering but the mandatory HMO licensing scheme applies borough wide and an additional licensing scheme applies to part of the borough.